As our race calendar has grown through the years, many of you have traveled with HMF across the region, tried different distances and taken on new challenges with us. We truly appreciate you and the many miles you’ve logged racing with us and want to provide a new way to thank you in 2015. The new HMF Frequent Miler Program will give you options to use accumulated miles for merchandise, perks and race experiences. 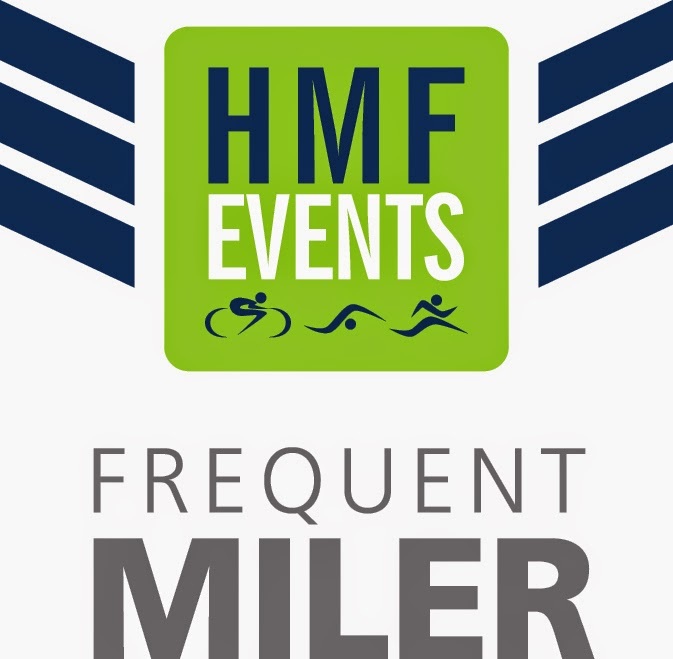 Sign up for the HMF Frequent Miler Program and participate in a minimum of five HMF events in 2015 – you will earn one point for every mile you run with us! Accumulated points can be used in the Frequent Miler Shop for special merchandise – everything from magnets or hats to technical shirts, jackets and race registrations. The more HMF miles you run, the more points you earn. We will tally your mileage through registration data in December 2015 after the Blue Back Mitten Run, points will be awarded for use in the Frequent Miler Shop from December 15, 2015 until June 1, 2016. Participants must register for the program through this link by December 6, 2015 and be a registered participant in at least five HMF events in 2015 to earn the points per mile. Race credits are only earned with minimum participation of five HMF events within 2015, points will not carry over to 2016. Triathlon and Duathlon running miles will also be tallied toward total mileage (bike and swim miles will not be included). Points can only be used within the Frequent Miler Shop between December 15, 2015 and June 1, 2016; unused points with be forfeited after that time. Please enter the same exact name to register for all events and to register for the program to ensure points are assigned correctly. Happy running in 2015, we look forward to seeing you all on race day!